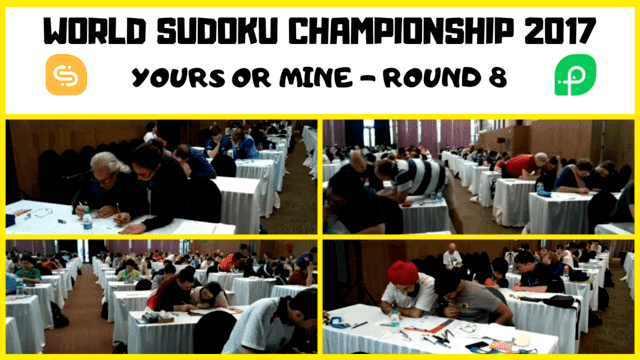 This video shows some fun moments from the 8th round of the World Sudoku Championship 2017. This Sudoku round of the championship was named "Yours or Mine". In this Sudoku Team round, 4 member team is divided into two parts of two members each. These two members solve some part of the given Sudoku puzzles and then swap the Sudoku sets with other team members after a certain time period. This was a very interesting Sudoku Team round in World Sudoku Championship 2017.